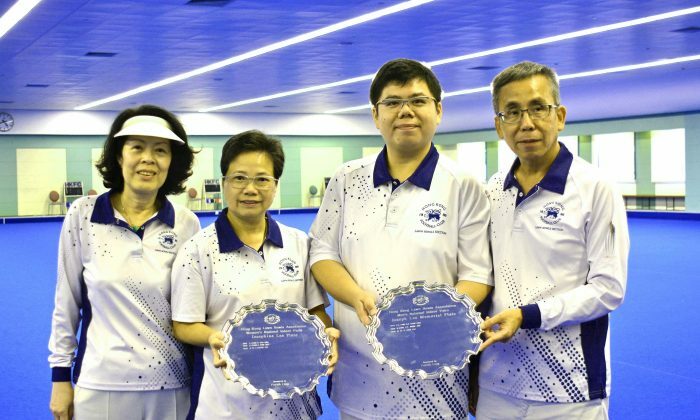 HONG KONG—Hong Kong Football Club (HKFC) dominated the finals of the National Indoor Pairs for the second year in a row, lifted titles for both gender at their home greens last Saturday, Nov 24. The competition, which inaugurated five years ago to supplement the only indoor competition, the National Indoor Singles, attracted a record 160 men and 104 women teams to participate. It was played on the six indoor greens around Hong Kong, with the semi-finals and finals scheduled at Hong Kong Football Club. HKFC’s Kenny Tam and Anthony Yip, who knocked out the defending champion of Warren Cheung and Tony Cheung from the same club in the fourth round, played Wong Chun Yat and Lee Ka Ho from Craigengower Cricket Club (CCC) in the final. In the first set, the HKFC duo lost a shot each in the first two ends but went on to win all the remaining seven ends. They finished the set 11:2. The CCC players came back strongly and took the second set 4:9 to force the game into tiebreaker. In the extra set, HKFC won one shot apiece in the first two ends. In the last end when HKFC was holding two shots, skipper Yip accidently pushed the jack and gifted a shot to the opponent. Lee tried to draw a second shot but moved the jack an inch too far. They only finished with a shot and lost the game 2:1. 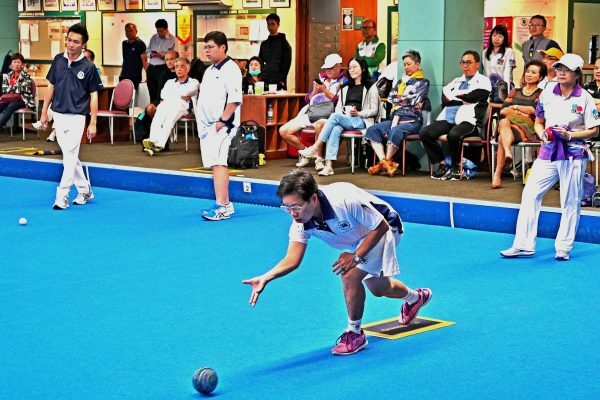 For the women competition, HKFC’s Alice Antunes and Emmie Wong defeated the defending champion of Dorothy Yu and Vivian Yip in the semi-final to face June Cheng and Christina Wong from Island Lawn Bowls Club (ILBC) in the final. The game was tight and both sides displayed high level of drawing skill throughout. The first set was finished 7:7. In the second set the ILBC team was leading by 5:7 after six ends. However, they lost five shots in the next three ends to miss the title. HKFC and CCC has been dominating the competition in the last few years with HKFC won both title last year, and CCC won both of them the year before. In 2015 CCC won the men title and HKFC took the women title. At the inaugurated event it was Club de Recreio and Tuen Mun Sports Association to prevail in the final. 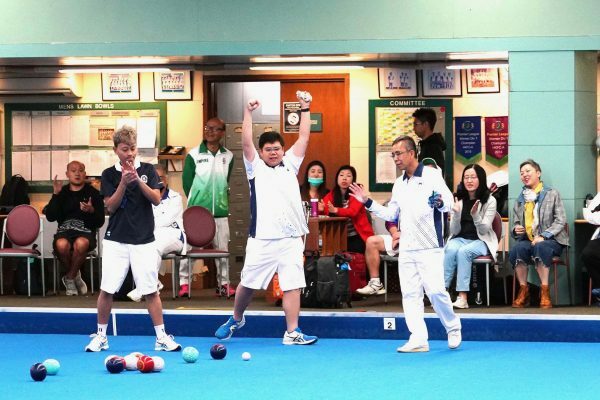 The fifth round of the National Singles will continue this Sunday, December 2, at all venues around Hong Kong, the men will play at 10:00 am and women at 3:00 pm.